Many of you may know Alex Honnold, the famous free-climbing rock star who solo-climbed the sheer granite face of El Capitan on June 3, 2017 – 3,000 feet without a rope or mechanical assistance of any kind – making him the first and only human in history to do so. 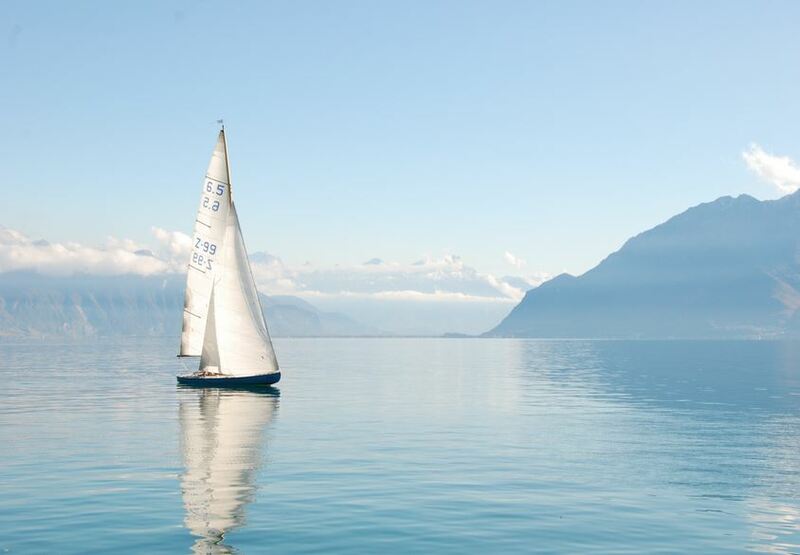 You may also know Laura Dekker, a 16-year-old sailor who completed her dream of sailing around the world – all alone without crew or support of any kind – in 2011 (she started the trip when she was 15 and turned 16 during the voyage), making her the youngest person in history to sail around the world alone. What you may not know is, however similar these tales of incredible human daring and accomplishment, that what motivated these two amazing individuals to achieve their feats could not have been more different. Each of these remarkable people tells their own story in two thrilling documentary films: Alex Honnold in “Free Solo,” and Laura Dekker in “Maidentrip.” I watched both of these films, back-to-back, last week to hear directly from Alex and Laura what inspired and motivated them to do the things they had done. What I found out was humbling, uplifting, troubling, and thought-provoking. “Free Solo” is a methodical film about a very methodical climber. Alex, 33 at the time, had been climbing since he was a small child. His father encouraged his obsession, facilitating climbing trips and encouraging his son. Alex’s obsession turned into a life-long pursuit of performance and perfection: by the time he attempted his free-climb of El Capitan, he was already a world-renowned climber who had solo-climbed many daunting routes, regarded with awe by his rock-climbing peers. As the movie progresses, we learn a great deal more about what makes Alex tick. We learn about his girlfriend, Sanni McCandless, and the positive influence she has had on Alex – and on how difficult it is for Alex to form close relationships with others, including meaningful, long-lasting romantic relationships. The directors, Jimmy Chin and Elizabeth Chai Vasarhelyi, use Alex’s relationship with Sanni to probe deeper: why does he have trouble with relationships? Why is he so focused and driven? What really motivates him? What follows is a moving portrait of a man who grew up in an achievement-focused family without a lot of physical attachment and no mention of “the L word” (that’s “Love” to you and me) in English. Alex’s mother was a teacher who spoke only French at home and encouraged her children to succeed with maxims like “good enough never is.” Alex’s father was what we might now call “on the spectrum,” a man so obsessed with travel that he was calm only when on the road, fulfilling his monomania (his parents divorced when Alex was 19 and his father died a year later). Neither was physically affectionate, expressed love, or encouraged their children to be happy – far from it. As Alex describes it, his life is about performance and perfection – “happy people never achieve anything – anyone can be happy,” but not everyone can achieve perfection. In one particularly searing moment, he says that a “bottomless pit of self-loathing” is really what motivates him. He is, after all, never good enough – just as his mother taught him. There are numerous other vignettes in the movie that complete the picture of Alex as a man obsessed with free-climbing the most challenging mountains in the world – competing in a sport so deadly that, as one of his climbing friends describes it, “it’s like competing in the Olympics but, if you don’t win the gold medal, you die.” His climbing journals are full of the minute details he must focus on if he is to achieve perfection, else he will literally die on the climb – no meditations on the natural beauty that surrounds him, but a mind-numbingly detailed catalogue of rock-face features, hand-and-foot holds, sequences, and more climbing minutiae. As obsessed as Alex is with climbing, so is Laura Dekker with sailing. Born and raised on a sailboat in New Zealand, her earliest memories are of sailing great distances with her parents. Like Alex, Laura’s obsession was nurtured by her father, who was both an accomplished sailor and a boat-builder. Like Alex, Laura’s parents divorced when she was young. Like Alex, Laura’s father had difficulty maintaining what we might consider a normal life – he struggled with over-work and with his boat-building obsession, until finally having a nervous breakdown. Nonetheless, the portrait that emerges from Maidentrip is of a young girl who loved her parents, especially her father, and who was loved very much in return, and who enjoyed a special relationship with her sister (Alex mentioned his sister only briefly in Free Solo). What else emerges clearly from Maidentrip is a girl who is obsessed with sailing because she loves it – it is her natural element, as natural to her as breathing, and she wants nothing more than to break free from the constraints imposed on her by a Dutch culture which is all about “money and work,” where you work to get money to get a house, pay the bills, have some kids, and then die (in fact, it took her the better part of a year to fight the Dutch authorities to be able to gain the freedom to even be allowed to sail around the world by herself – they thought it was too dangerous and foolhardy). For Laura, it is about loving herself too much to be kept from the one thing she loves above all – sailing – and she will do anything to gain the freedom she deserves to follow her dream of sailing alone around the world. When Laura sets off from Holland, down to Gibraltar and then across the Atlantic, she is in high spirits, intoxicated with the adventure, with her freedom, and with her love of the sea and of sailing it. She is at times lonely and misses her family, but she is drawn inexorably toward her true love and draws strength and determination from it. Like Alex, Laura is obsessed with being the first – she wants to be the youngest person to sail alone around the world – but she doesn’t want to break the record for being the fastest. In a key scene when she is being interviewed by a reporter who wants to understand what motivates Laura (“someday someone will write about you in a history book – that must mean something to you, doesn’t it?”), Laura categorically rejects fame or fortune as a motivating factor. She doesn’t want to be the fastest around the world, like two other contemporary young, female sailors – she wants to take her time along the way to stop and visit different countries, learn about their cultures, and meet different people. She doesn’t want to be in a history book – “I don’t care about that at all.” She recounts the story of a French sailor who entered a round-the-world yacht race to make money to support his family – and then, on the verge of winning, gave it all up because the pursuit of money had become meaningless to him, realizing that it was the love of sailing that was really driving him on. So, unlike Alex, Laura is pulled towards her obsession by her love for it – and she loves herself enough that she will not let anything (including the Dutch government or the media) stand between her and her true love. Rather then being pushed by self-loathing and a nagging voice inside her head that says she’s never good enough, so she must continually try to achieve greater and greater heights of performance and perfection, Laura is pulled inexorably towards what she loves, and loves herself enough that she believes fervently she should be allowed to do what she loves – that nobody has the right to keep her from it. There’s a terrific scene later in the movie, as Laura is rounding the Cape of Good Hope (the southernmost point of Africa, notorious for high winds and heavy seas), when she is just so focused on sailing, so in the moment, that she does not have time to be afraid. Like Alex’s focus on his free-climbs, Laura’s attention is complete and undivided – she needs to immerse herself completely in order to make it through the challenge at hand. When describing it afterward, however, she seems nonchalant and relates that, although others in the harbor seemed amazed when she sailed in, she just remembers having the time of her life, being focused and joyful. Alex, too, was incredibly joyful when he finished free-climbing El Capitan – he practically ran up the last pitch, finishing the entire climb in 3 hours and 56 minutes – smiling broadly, hugging his support crew, calling Sanni. His joy seemed only a temporary relief, however, and after getting back to his camper van, he worked out on his “finger board,” doing pull-ups by his finger-tips and readying himself for the next challenge. This contrast, between Alex and Laura, between someone driven by an obsession for perfection and a deep self-loathing and someone driven by the pure joy and love of doing what she wants to do, couldn’t be more stark. Yes, perhaps Alex is driven not only by the lessons he was taught as a child, but by his own genetic makeup and by his brain chemistry (his father was “on the spectrum,” and perhaps Alex is, too). Perhaps he can’t help himself, and perhaps his obsessive behavior and self-loathing is as natural to him as breathing is to us (or sailing is to Laura Dekker). But the central question posed by these two contrasting stories remains for us to consider: how should we live our lives? How should we motivate ourselves each day? What really motivates me every day? Do I hate myself? Or do I love myself? If I hate myself, why do I hate myself? What lessons was I taught that made me feel this way? Do I truly believe that I need to hate myself for some reason? If so, what is the reason? What is it that feels so good about hating myself? Do I really feel that achievement is not possible without some form of self-loathing or feeling that I’m not good enough? If I love myself, do I feel content with where I am in life? Or am I driven to do more by loving my life so completely that I want to express myself fully in activities that express who I am and that bring joy not only to me but to others around me? What draws me to the things, people, and places that I love? How can I do more of what I love on a daily basis? Who would I rather be – Alex or Laura? Who truly inspires me, and who would I rather have as a role model? There are no right or wrong answers here – what’s important is that you try to understand deeply what drives you every day and whether that is the best way for you to live your most fulfilled, joyful, and free life.